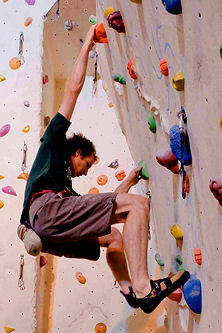 alien rock was Scotlands first dedicated indoor climbing centre and has been providing a fun, exciting and friendly venue for indoor climbers since 1994. Indoor climbing is suitable for almost all ages and abilities from the complete novice to experienced climber, whether you visit individually or as part of a group of friends. 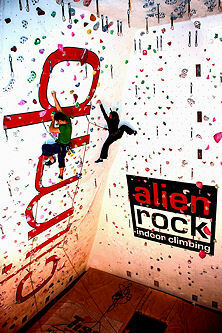 alien rock is also known as alien one and has a large collection of roped climbing. alien bloc has just been built nearby and opened 24th June 2017 and is a bouldering centre with lower walls where ropes are not used.